Most of Bugatti models are all part of a line of cars that trace back to an earlier model. In this case, the Type 44 can trace its heritage back to the Type 30 of 1922. The Type 44 was built between 1927 and 1930 and was the most popular series of all of the “8-cylinder line” of 1922-1934. It’s powered by a 3.0-liter straight-eight making 80 horsepower. This car was sold new in Paris and was sent to Alin & Liautard to be bodied as a sedan, a body style not many Bugattis still exist as. The large roof has a big piece of fabric that can be rolled back like a giant cloth sunroof. Ownership is known back to the 1950s, but it is known that the car was registered in Pairs up until that point. Any restoration this car has ever underwent is extremely old and predates the current owner who acquired the car some time ago. The Type 44 was one of the most popular Bugattis sold, with production totaling 1,095 cars. This one should sell for between $200,000-$260,000. Click here for more info and here for more from this sale. 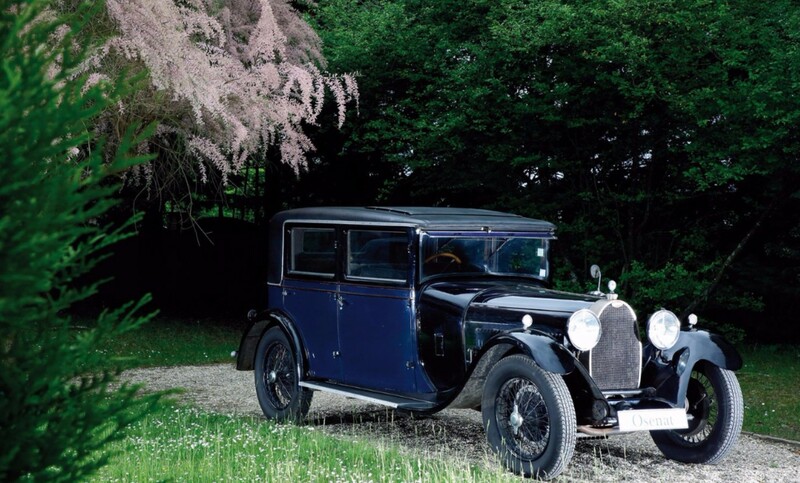 This entry was posted in Uncategorized and tagged 1930, alin & liautard, artcurial, auctions, berline, bugatti, cars, classic cars, type 44 by classiccarweekly. Bookmark the permalink.